You are probably feeling it – a scratchy throat, dry cough and irritated eyes or that whoozy, nauseous feeling from breathing something you shouldn’t be. It smells like a campfire out there, but with homes and businesses burning, we are exposed to so much more. On top of the wood particulate, carbon monoxide and carbon dioxide, the air and the ash is littered with synthetic chemicals released from the combustion of building materials and the contents of buildings and yards. We’re dealing with a toxic load of exceptionally nasty stuff like dioxins, heavy metals, styrene, toluene, polycyclic aromatic hydrocarbons (PAH’s), nitrogen oxides, sulfur dioxide, acid gases, etc. This is serious business. The first objective is to limit your exposure as much as possible, by staying indoors and sealing your house. Avoid drawing any air into your house from outside – limit the use of fans or dryers. Put towels around any drafty doorways or windows. Get that air purifier you’ve been contemplating – you need it now. If you must go outside, wear a respirator mask, such as an N95 or P100, preferrably the latter. Your lungs are better equipped to deal with the air born toxins than your oral mucosa and digestive tract. So breathe through your nose, not through your mouth, and avoid eating or drinking in any area that has compromised air quality. After being outside, rinse nasal passages and lubricate afterward with aloe-saline, or coconut or sesame oil. Enhancing your overall health by lowering your ‘total load’ will help you be more equipped to detoxify the present dangers. Back off on anything that you know inflames you – food sensitivities, sugar, alcohol, etc. Avoid fried, smoked, browned and grilled foods – these generate PAH’s and inflammatory compounds that add to your inflammatory burden. 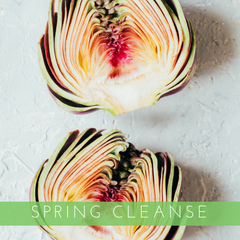 Consider a cleansing diet, emphasizing steamed, raw, stewed and/or poached foods. Eat as many veggies as you can, and use lots of aromatic herbs and spices, like rosemary. Next there are two harm reduction strategies to consider: dealing with the acute effects to the respiratory tract and mitigating any long term potential effects of cancer causing chemicals by supporting your body’s ability to cope with oxidative stress. Lubricated membranes have better barrier function to inhibit toxin entry. For dry, scratchy throat or lungs, I suggest a cold-infusion of marshmallow root or Throat Coat tea. Farmacopia is also carrying tincture blend called “Cough Quiet,” which contains mucous membrane tonics and anti-inflammatory herbs. When I take these herbs for lung irritation, I often feel the difference immediately. 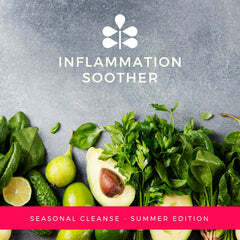 Inflammation modulators like Vitamin C, quercetin and other flavonoids help protect inflamed tissues and promote barrier integrity. Vitamin C helps maintain glutathione levels and is especially protective in highly vascularized tissues like the lungs. A colleague in Montana, where wildfires have been ravaging all summer, is using Quercetin ascorbate with good effects. Although it can be used as a capsule, it may have enhanced absorption when taken as a powder – mixed into applesauce for adults and children. Your lymph system helps filter the waste that ends up outside of your bloodstream. Moving toxicants away from over-whelmed tissues can help get it neutralized more effectively. Skin brushing, rebounding, exercise, and contrast hydrotherapy all help move lymph. Remember, no exercising outside! Glutathione is one of the key detoxification compounds in the lungs, liver, brain and kidneys, where it neutralizes reactive oxygen and nitrogen species, aka free radicals. It reduces mitochondrial damage and also plays a role in regulating cellular regeneration and differentiation. Glutathione can be easily depleted in the lungs, which is where we need it functioning optimally as our first defense against air born toxicants. There are some amounts of naturally occurring glutathione in asparagus, spinach, garlic, avocado, squash, zucchini, potatoes, melons grapefruit, strawberries, peaches. Glutathione is also generated from 3 amino acids: cysteine, glycine and glutamine. Emphasizing foods rich in cysteine tend to have the most impact for ensuring healthy glutathione levels. These are sulfur containing foods, rich in alliums like garlic and onions, as well as the brassica family, such as kale, cabbage, broccoli, radishes, turnips, etc. Glycine and glutamine are abundant in protein containing foods, especially bone broth. Once we’ve got the building blocks for glutathione, there are several important cofactors required for synthesis and regeneration of its antioxidant potential: the key players are magnesium, several B vitamins, zinc, and selenium. For resources on which foods contain these nutrients, I recommend www.whfoods.com. I’m a big fan of trying to get most of what you need from food, but when the toxin load is big, supplemental support will help take protection to the next level, especially when combined with a high power diet. In terms of supplementation, all but the magnesium are usually covered in a high quality multivitamin, so it’s a good time to pull that one off the shelf. If you are someone with a higher exposure or are vulnerable due to higher levels of oxidative stress, N-acetyl cysteine can provide additional glutathione support, or glutathione can be directly supplemented in liposomal form. Flavonoids inhibit inflammatory pathways and support our p53 pathway for cell cycle regulation and repair- this is your genomic guardian for cancer protection. These are found in colorful foods, especially berries, grapes, pomegranate, garlic, green tea, artichokes, turmeric, rosemary, and most other spices. Milk thistle is a glutathione regenerator and is one of the most well-known liver and kidney herbs. In an optimal world, whatever gets past the lungs is detoxified in the liver or the kidneys, rather than being stored in peripheral tissues. 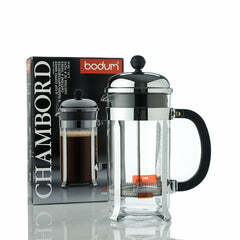 You can grind it up and add it to foods or teas, or it is widely available as a capsule. Turmeric is one of the best anti-inflammatories out there, with documented anti-cancer effects. It is best absorbed in the presence of fat, so you can find a delicious turmeric paste recipe here or pick one of the professional grade encapsulated formulations which have enhanced absorption and bioavailability. Green tea is an incredible antioxidant that can tighten up inflamed tissues, and is one of the most researched anti-cancer herbs. Rosemary is a power-food full of antioxidants. There’s a bit of research showing that it reduces the effects of PAH’s from foods, but it’s fair to say it works for inhaled substances too. We excrete the phytochemicals from aromatic herbs via our lungs, where they provide antioxidant benefits. Schisandra is another glutathione regenerator. 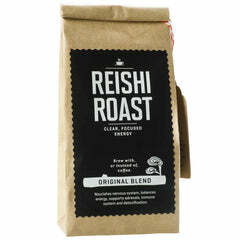 It is also an adaptogen for these stressful times. Schisandra is often consumed as tart tea or incorporated into tinctures. Lastly, for longer term protection, medicinal mushrooms contain complex polysaccharides that have incredible immune modulating effects. 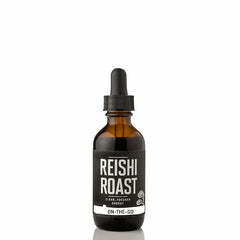 A couple of my favorites are reishi, which is both anti-inflammatory and has some stress-modulating effects, and cordyceps which improves oxygen efficiency in the lungs and may enhances respiratory function in inflammatory lung conditions. Check out Farmacopia’s immune adaptogen tinctures with these lung specific medicinal mushrooms. Remember, supporting your overall health helps you stay healthy amidst greater environmental insults. Now is prime time to follow your self-care regimens. Call on us at Farmacopia to be your resource. You come see myself or any of the wonderful practitioners here for a personalized visit, or the staff can direct you toward general support on a walk-in basis. We’d love to help alleviate some of the physical and emotional impacts of this overwhelming situation. Disclosures: Dr. Bridget does not receive any direct compensation for promoting Farmacopia’s products. This blog does not constitute medical advice and has not been evaluated by the FDA. Consult your provider for suggestions specific to your needs and circumstances.